As of June 30, a number of games - some of them among the best of all time - will have their online components cease to be supported. Among the casualties will be Battlefield 1942 (PC), C&C Generals (PC), Crysis (PC), Master of Orion III (PC), Medal of Honor: Allied Assault (PC), the original Neverwinter Nights (PC) and its sequel, and both Star Wars: Battlefront titles on PC. There are also some Wii, DS and even PS2 games among the casualties, but those ones listed above are the big ones. 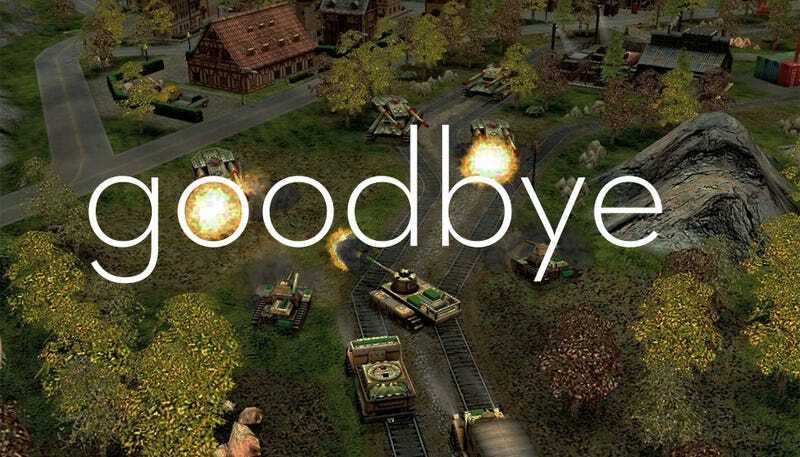 The move comes as EA, who either made, published or now own the rights to all those games, reacts to the looming closure of Gamespy, itself an ancient online service which has been keeping these classics' multiplayer alive on life-support for years. With Gamespy closing down on May 31, the EA games using it will be cut off as well. Of course, this doesn't mean the games will be dead. The singleplayer component of most of these will still work just fine. And as for multiplayer stuff, where there's demand, fans usually take up the slack and host servers once official ones die off. For the big ones, like the Battlefield titles, EA is even "investigating community-supported options to preserve online functionality for these titles", though it also admits "Significant technical hurdles remain, and at this time we don't have anything to announce". But that kind of help won't arrive for every game on the chopping block, especially the console ones, so if you're one of the three people worldwide still playing the online modes of Green Day: Rock Band on the Wii, time to get your goodbyes ready. The full list of games affected is below.